Although oil companies will never be able to control the weather, new technological advancements are fuelling a transformation in the industry. Advanced technology can now warn rig workers of incoming weather systems well ahead of what their eyes can see. These new ‘intelligent’ capabilities allow platform crews to overcome three critical challenges: collecting localised weather data; processing data against historical context; and displaying forecasts in a digestible context that non-meteorologists can act upon. Building a reliable, on-platform weather monitoring and forecast system is no longer just a possibility; it’s a reality. With oil price volatility here to stay, any opportunity to maintain predictable production is a welcome boost to profitability. Operating an oil rig costs millions of dollars; which makes weather fluctuations a costly, unwelcome interruption. Erratic ocean currents, high winds, lightning, poor visibility and heavy rain can shut down operations; hundreds of thousands – even millions – of dollars can be lost during a single severe weather event. Unfortunately, at the majority of remote offshore platforms, accurate and timely weather-peril coverage is limited, if at all available. Despite the heavy burden of even temporarily shutting down operations, crew safety and the risk of equipment damage must always be considered. Although weather fluctuations do not account for every death or injury on offshore rig operations, weather certainly plays a key role in creating dangerous scenarios. With incomplete forecasts, the crew must err on the side of safety. Depending on the severity of the situation, when bad weather approaches, crews must react by shutting down operations or evacuating. The situation can be frustrating. Although on-shore weather alert systems do a good job of forecasting and notifying people about weather patterns on land, offshore platforms are not sufficiently covered. That leaves crews heavily dependent on what they see, relying on the on-board weather monitoring devices that only display current weather conditions. Teams can see a storm in the distance and measure current wind speeds at their location, but it is often impossible to know in which direction the storm is moving. These unsophisticated methods force an abundance of caution that can drive up costs. 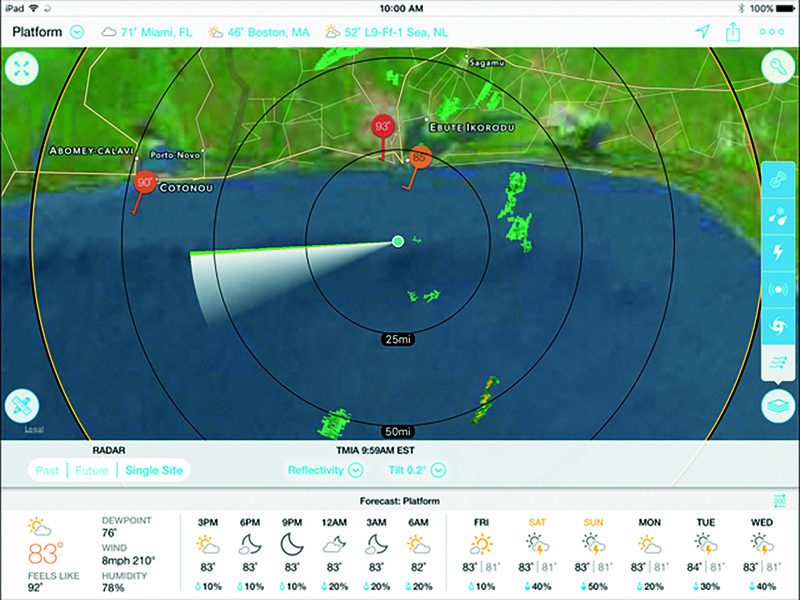 Improvements to critical radar technology installed on oil rigs are now providing a foundation for observing current conditions and effectively forecasting hyperlocal weather patterns. 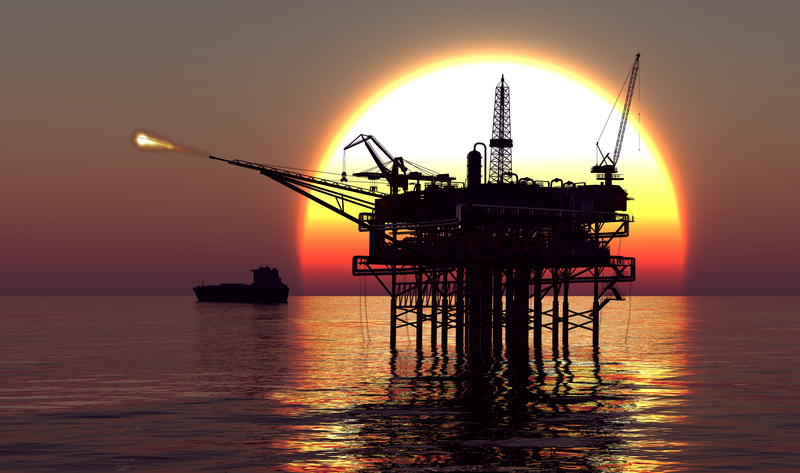 Radar devices have often been too large and cost prohibitive to be installed on a rig. Now, advancements to the technology have considerably reduced this barrier to entry, making it less expensive and disruptive to create weather forecasting systems that are practical as facility installations. X-Band radar systems can create sophisticated, high-resolution models to predict rain, wind and other weather phenomena without requiring a large physical footprint. These radar systems trump traditional C-Band radar systems that require advanced engineering to erect a full tower to engage the radar. In a package roughly the size of your average human, the mobile installation of these systems makes civil engineering efforts easier. Once installed, X-band radars can be run at a high resolution to more effectively prepare the rig for incoming weather and allow its operators to make better decisions in the face of poor conditions. When the data from the radar is combined with weather models, it can be used to predict the direction of weather patterns. Crews can receive precise forecasts of how their specific location might be impacted by weather that is 50-60 miles away, providing sufficient notice to take action without overcompensating for storms headed away from their location. Weather modelling is a complex science with a wide range of factors. Interpreting weather data can be challenging and is the job of a meteorologist rather than platform crews. Unless advanced data visualisation techniques are applied, the average crew member would have no way to apply the data to their current situation. But with these new X-Band radar systems, an on-site meteorologist is not needed to interpret the reported information. The Weather Company, an IBM Business, has pioneered the art of making complex forecasts actionable. 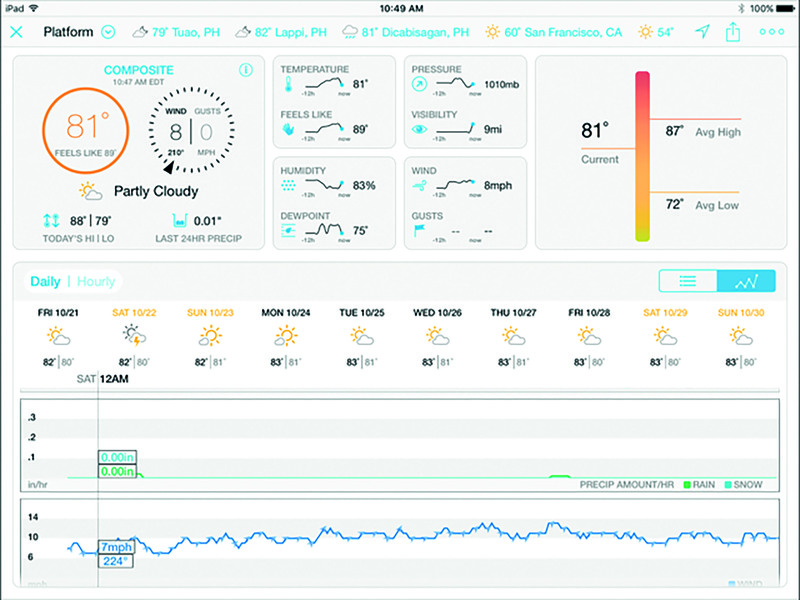 Thanks to advances in data visualisation born from decades of serving consumers, pilots and even retail marketers, The Weather Company is applying these same techniques to on-rig weather systems to enable all crew members to react to weather events with ease. The oil industry is not for the faint of heart, and large investments are being made to erect these rigs in dangerous parts of the world where mature weather forecasting technology is not available. The advantages of weather radar technology make sense to insure this investment and ensure that companies are protecting their on-site assets and crews with proper precautions, no matter what the weather conditions. Jim Menard is general manager of the enterprise group at the Weather Company, an IBM Business.